The real subject of this apparel was Flint's violent reputation. I'm sure you've seen it before. It's been around, there are several iterations. Some shirts say "Murderville" or "most violent city," some simply have the word "Flint" alongside a drawing of a handgun or a bullet hole. Bang bang. You're dead. People get killed here. Funny, huh? 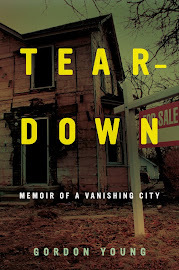 Sure, they're meant to be jokes, a tongue-in-cheek riff on Flint's violent reputation. Maybe at first they seemed funny, or clever. 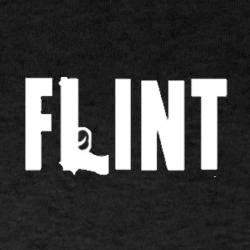 That one where the "L" in Flint is a sideways gun. That's kind of cute, right? But somewhere along the line, these shirts -- or hats or stickers or whatever -- have lost their cultural cachet. There was a time, maybe, when making a joke about murder was the only comfort in an endless winter of senseless violence. Some people might still feel this way.